GoDaddy Coupon Code April 2019 Web Hosting: Beware Other Promo Sites! You are at:Home»Deals»Web Hosting»2018 GoDaddy Coupon Code For Web Hosting: Beware Other Promo Sites! 2018 GoDaddy Coupon Code For Web Hosting: Beware Other Promo Sites! In the world of coupon codes, GoDaddy’s web hosting coupons are some of the most enticing offers around. GoDaddy offers a slew of web hosting plans, and you’ll find hundreds of different GoDaddy coupon codes on the Internet, the majority of which are expired or invalid. My goal is to make it easy for you to find the best GoDaddy coupon code available and save some money by using a promo code that works in April 2019. Instead of giving you hundreds of coupon codes to wade through, I’ve done my research and I’m just going to provide you with the best one coupon code I’ve found. As you use this code, I recommend following this advice: Start with a small plan and work your way up from there. GoDaddy offers a lot of up-sells, and it’s easy for a hosting plan that costs a few dollars a month to turn into a $30 / month plan, just by clicking a few buttons along the setup process. Don’t do it. You can always add those services later. What Is The Best GoDaddy Coupon Code In April 2019? 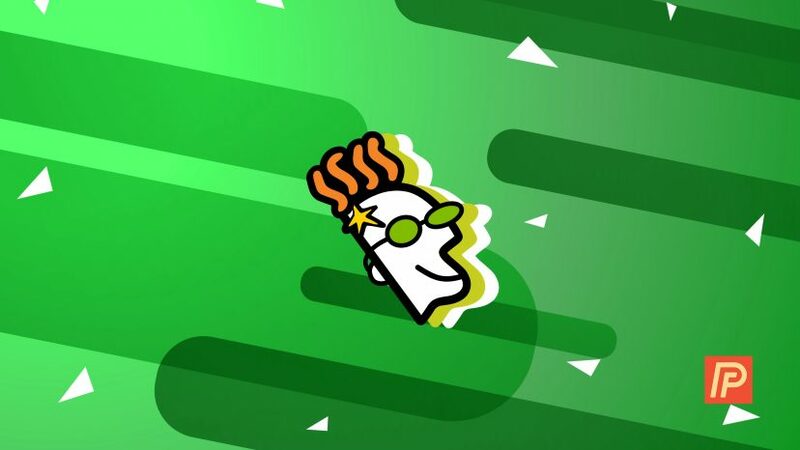 GoDaddy’s best promo code in April 2019 will get you a premium web hosting plan for $1 / month. It’s a great deal, and it even includes a free domain name. Pro tip: GoDaddy’s cancellation policy is 30 days for annual plans and 48 hours for monthly plans, so although it may seem counterintuitive, we recommend that you sign up for an annual plan if you’re not sure you’ll stay. Click the button above and savings will automatically apply at checkout. You can cancel anytime within the first 30 days (yearly plans) or 48 hours (monthly plans), risk-free. Tip: Sign up for the annual plan for the better cancellation policy! How Do I Use This Go Daddy Coupon Code In April 2019? First, go to the GoDaddy website and choose the plan you’re looking for. Click Add To Cart on the plan you want to sign up for. When you use our GoDaddy coupon code, a discount will be applied to each hosting plan. Choose a free domain (your website address) if you don’t have one. If you already have a domain name, click No thanks. I’ll pass on the freebie. On the checkout page, make sure you’ve selected 12 months for the term You’ll see that our GoDaddy promo code has been applied automatically. Sign up for a new GoDaddy account by clicking Create an account. Enter your Billing and Payment Information, then click Continue. How Much Will I Save With This GoDaddy Promo Code? If you sign up for a Economy plan using our GoDaddy promo code, you’ll save a total of $83.88 on your first year of web hosting. Why Should I Choose GoDaddy As My Hosting Provider? GoDaddy provides its users with fast and reliable hosting at an affordable price. And, by using our GoDaddy coupon code, you can save even more! GoDaddy hosting plans include features such as unmetered bandwidth, at least 100 GB of storage, a free domain, and a free year of a Microsoft Office business email account. GoDaddy also offers free 24/7, around-the-clock support in case something goes wrong. Some website developers charge hundreds of dollars per hour to set up and maintain your website, which can really burn a hole in your wallet, especially if something goes wrong. GoDaddy’s reliable hosting and 24/7 support network coupled with our awesome GoDaddy coupon codes will save you hundreds, if not thousands of dollars in the long run! WordPress powers more than 25% of the internet, so it’s no surprise the GoDaddy offers many excellent managed WordPress hosting plans. Like their standard hosting plans, GoDaddy’s managed WordPress hosting plans include a free domain name, plenty of storage space, and 24/7 access to customer support. Their one-click install process also makes it easy for first time WordPress users to quickly set up WordPress on their computer. Now that you’ve discovered how to save with a GoDaddy coupon code in April 2019, it’s up to you to build a great website. I hosted this website on GoDaddy for a few years, until it grew to the point where I needed to upgrade to a more robust setup. If you’re not going planning on getting millions of visitors / month on your website in the first week, then GoDaddy is a great place to host your website — and our promo code is a great way to save. Note: We may receive a referral fee from GoDaddy if you make a purchase after clicking a link on this page.